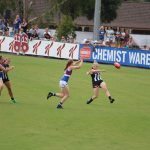 THE 2018 Victorian Football League (VFL) Women’s finals series concluded with a nail-biting final between Hawthorn and Geelong. In a tight, low-scoring game, Hawthorn claimed the premiership over Geelong 4.6 (30) to 2.5 (17). The Cats were simply not able to break through Hawthorn’s tight defence. 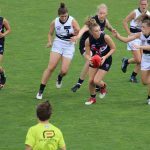 The Hawks were able to keep Geelong to only one goal until early in the fourth quarter, when Kate Darby finally broke through. 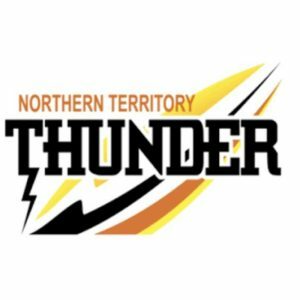 Overall possession throughout the game was tight and reflected the opportunities both teams had, with 52 per cent in the Hawks’ favour and 48 per cent with the Cats. Hawthorn’s season-defining defence proved to be too much for an otherwise strong Geelong side. Chantella Perera became the well-deserved Lisa Hardeman Medal winner, leading her defence with 13 disposals and four marks. Perera’s command in the back line was assisted by veteran player, Meg Hutchins. 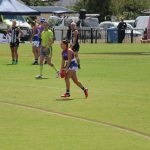 Hutchins, who gathered 17 disposals and a game-high seven marks, finally got her first premiership after 16 years of football. Additionally, Hawthorn key forward, Phoebe McWilliams had an explosive game. McWilliams took a game-high four contested marks to lead to a total of six marks. Geelong still was able to perform despite facing a superior Hawthorn side. 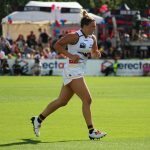 Young gun, Nina Morrison had an excellent game with 20 disposals and five tackles. 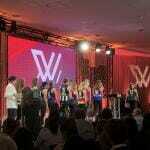 Morrison is certain to get drafted into Geelong’s 2019 AFLW side and continued to solidify that notion with her performance in the Grand Final. 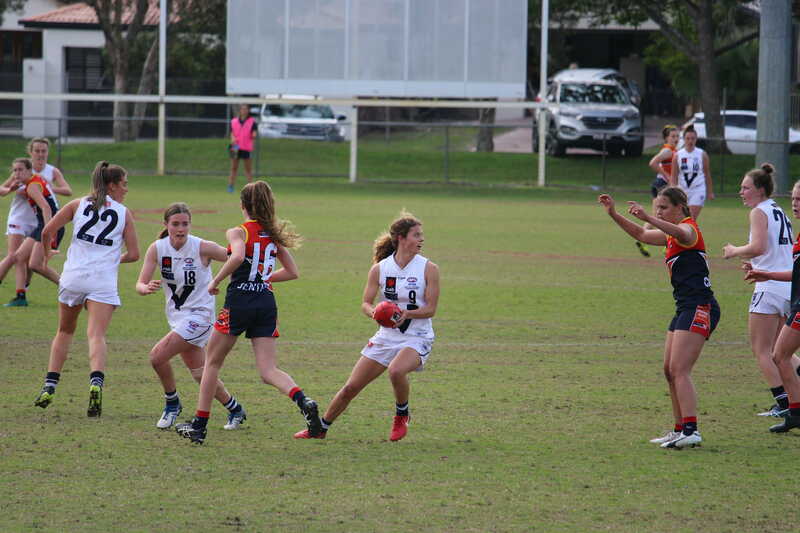 Her Falcons teammate, Olivia Purcell was able to shine through with 19 disposals and a game-high eight clearances. Madeline Keryk also continued her blistering finals form with 18 disposals and nine tackles.